Debris (noun) : 1. the remains of anything broken down or destroyed; ruins; rubble:the debris of buildings after an air raid; scattered remains of something destroyed. 2. Geology. an accumulation of loose fragments of rock, left by a melting glacier etc..
First something on not so regular context to us – i.e., in Marine – at sea. Marine debris applies to floating garbage such as bottles, cans, styrofoam, cruise ship waste, offshore oil and gas exploration and production facilities pollution, and fishing paraphernalia from professional and recreational boaters. Marine debris is also called litter or flotsam and jetsam. Objects that can constitute marine debris include used automobile tyres, detergent bottles, medical wastes, discarded fishing line and nets, soda cans, and bilge waste solids.In addition to being unsightly, it can pose a serious threat to marine life, boats, swimmers, divers, and others. For example, each year millions of seabirds, sea turtles, fish, and marine mammals become entangled in marine debris, or ingest plastics which they have mistaken for food. As many as 30,000 northern fur seals per year get caught in abandoned fishing nets and either drown or suffocate. Whales mistake plastic bags for squid, and birds may mistake plastic pellets for fish eggs. At other times, animals accidentally eat the plastic while feeding on natural food.The largest concentration of marine debris is the Great Pacific Garbage Patch. Witnesses reporting hearing buildings shuddering and vibrating as the flow crashed through Mocoa. Scores remained missing since the deluge struck when many people were sleeping, washing away trees, vehicles, houses and everything in its path. Pictures posted to social media showed bridges wiped away, piles of debris in the town center and overturned vehicles tumbled amid tree limbs, rocks and fencing. Back home, there is the Standard Fire and Special Perils Policy, which is a named perils policy…. ‘fire’ is an insured peril …. Besides the named perils and some extentions by way of add-on covers ………….. the policy also provides for reimbursement of expenses up to 1% of the claim amount towards ‘debris removal’, the limit too can be increased by payment of additional premium. 'Debris Removal’ clause provides reimbursement for clean-up costs associated with damage to a property. Policies with a debris removal provision typically only cover debris resulting from an insured peril, such as charred wood from a building fire; or construction material and the like following collapse of building arising out fire or allied perils. The material used for construction in intense heat could turn into hazardous waste !! - Read that this has evolved historically. 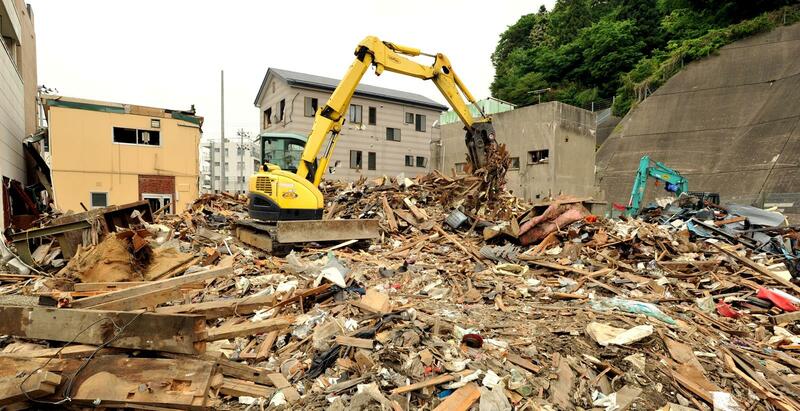 The older policies of course made no specificmention of debris removal costs as either covered or excluded. ~ and most insurers routinely excluded any expenses so claimed, while a few perhaps paid some portion. Those rejecting argued that this was a consequential, rather than a direct, result of the loss, and as such, was not covered. In Overseas at some point, a debris removal clause was added to the forms attached to the Standard Fire Policy. It simply stated that the coverage extended to include the cost of removal of the debris resulting from the property loss. The debris removal coverage was within, and did not increase, the limit of liability. The coverage was thus limited by the amount of insurance carried, so that in a substantial loss, the property loss plus the cost of debris removal might well exceed the amount of insurance but still the liability would not extend beyond the sum insured. While a small portion (1% of the claim amount) is indemnifiable, additional coverage can be purchased as per the terms of All India Fire Tariff. The tariff provides for allowance of additional specific value, however restricted to 10% of the sum insured. Before concluding, the earthquake and subsequent tsunami that struck Japan in washed nearly five million tonnes of debris, including boats, cars and part of houses and factories into the Pacific. An year or so later, a satellite image from NASA's Earth observatory showed the marauding mass sprawled across the ocean's surface. Around 4.8million tonnes - including parts of houses, factories, cars and ships - were pulled into the ocean when the earthquake and subsequent tsunami struck Japan. It was stated that while heavy items sank, at least 1.5million tonnes of lighter material such as buoys, oil drums and furniture were carried off by tides and the wind on a 4,500-mile journey to North America.